The short answer to this is, yes it is. However, some countries have declared Bitcoin as illegal. That’s why mining is also prohibited and considered illegal there. Anyways, this is a subjective matter and varies from one jurisdiction to another. But if one is mining Bitcoin with his/her resources in a legit way, then it is not illegal, at least in many countries. On the other hand, some countries have declared possession of Bitcoin and other cryptocurrencies as illegal. Why Such Hostility Towards Bitcoin? Well, this hostility stems from the decentralized and stateless nature of Bitcoin. So far, humans have had the habit of a state-backed currency, but Bitcoin breaks that habit. Moreover, the fact that anyone can join this network and contribute to its growth is a nightmare for some governments around the world. Some countries like China consider cryptocurrencies as a threat to the national currency and national banks. And to understand why they think so, you will need to understand a bit about Bitcoin mining process. Bitcoin mining is the process of updating the Bitcoin blockchain or the ledger. It is also the method through which new bitcoins enter the whole ecosystem. Bitcoin miners put their resources (time, electricity, equipment, computation, etc.) to validate new transactions and hence mine new ‘blocks’ (blocks are a group of transactions). And when a miner is able to mine a block, they get rewarded in the form of 12.5 BTC, plus the transaction fees. And the beauty of open and permissionless blockchains like Bitcoin is, anyone can start their full node and bring their equipment to participate in the mining process. However, nowadays Bitcoin mining has become a niche business which only mining farms with special ASIC equipment do. But anyone with enough capital can get started. For now, I have kept the explanation very simple, but if you want to deep dive into Bitcoin mining, please read: Bitcoin Mining: A Basic Guide For Beginners. I hope you understand why there is so much disparity amongst countries on this matter. That is because of its open and decentralized nature. Moreover, governments have always enjoyed the power of printing money at their whims which Bitcoin nullifies. Bitcoin was invented to put a full stop to insidious modern day banking and to create an alternative for people who wanted to opt out of this system. Thus, it is essential to understand that it was not a mere coincidence that Satoshi created and announced Bitcoin just after the financial crisis of 2008. In my opinion, and in the opinion of several other tech-economists, it was an all-out attack on the central banking system that has become incompetent as well as insidious. Satoshi Nakamoto-labeled text on the Bitcoin genesis block indicates that after the 2008 bailout of banks, the crisis would hit soon again. The text of the label was “03/Jan/2009 Chancellor on brink of the second bailout for banks”. So Bitcoin was actually created to provide people the alternative to modern day banking and saving them from the inflationary policies of corrupt governments. It was also built to show the world that decentralized trust can be created if backed by robust mathematical models – cryptography. And now that Bitcoin is competing with the central banker’s money, the governments are banning it. That’s why some countries have put an outright ban on Bitcoin and declared it illegal. Many other countries have not really banned it or termed illegal, but are still unclear about their stance. Slovenia – Bitcoin mining is recognized and taxed. Ukraine – Mining is a legal type of entrepreneurship. Iceland – Mining as a business is permitted. Canada – Banking ban, banking services are denied to crypto businesses. India – Banking ban, banking services are denied to crypto businesses. Indonesia – Illegal as a payment tool. Thailand – Banking ban, banking services are denied to crypto businesses. 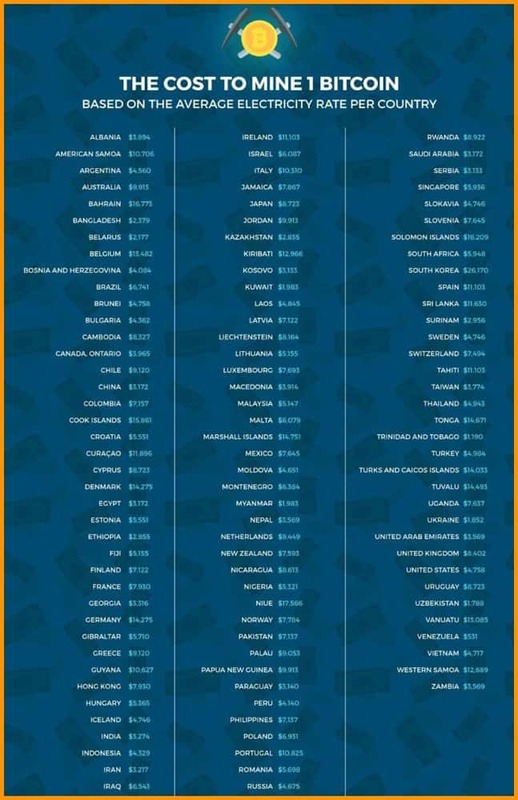 However, in countries where Bitcoin is allowed, it doesn’t mean it is a legal tender there. Instead, it is allowed to be traded as a commodity. 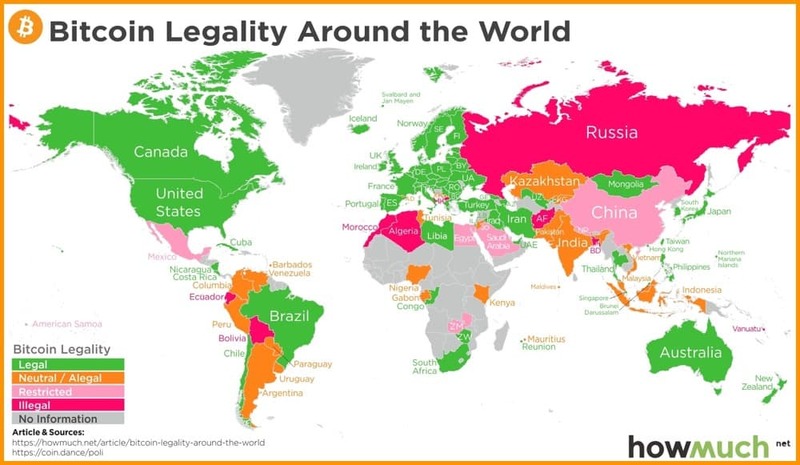 It is most apt to say that Bitcoin mining is legal in many countries except a few. And many African countries have remained silent on the matter of Bitcoin, so their stance is still not clear. However, if you are mining in a country where Bitcoin is regulated, and you have your equipment and electricity, you are good to continue your mining. That’s all from my side in this article. Please don’t consider any piece of this content as legal advice. If you have some comments or questions, I will be more than happy to discuss those in the comment section below. it is so amazing technology . which mining companies are preferred and legal ?